The year 2011 introduced dual core processors for Mobile Phones with the Nvidia tegra 2 housed in the LG Optimus 2X which changed the way we used our smartphones. This year, the bar has been lifted again and quad-core processor based smartphones are the new 'in thing'. In the recently concluded Mobile World congress, many new Smartphones and tablets were revealed to the world. Among them some of the Smartphones which captured People's attention were the Quad core mobile phones launched by various companies like HTC, Huawei, LG etc. As people have started using their smartphones for bigger applications and games, it has hence become utmost important that the processor speed of the Phone is high enough to load and smoothly execute these applications. In this article I have compared and provided information on the best quad core processor based mobile phone launched in the market. LG has done it again. They were the first to come up with a dual-core processor and now they are among the first with the Quad Core Dual Processor in a smartphone. The LG Optimus 4X HD comes with a fast 1.5 GHz quad-core Tegra 3 Processor. It has a ULP GeForce graphics processor unit and comes with Android v4.0 Ice Cream Sandwich operating system. 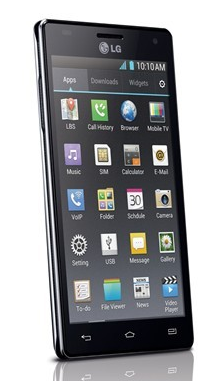 The LG Optimus 4X has 1 GB RAM which is quite capable of performing all your mobile tasks and comes with an internal memory of 16GB. You can also increase the memory upto 32 GB through the external SD card slot provided with the phone. The phone has a great look with a huge 4.7 inch HD touch-screen and comes bundled with many features including an 8 MP camera and a large 2150mAh battery. It is expected to be launched at a comparatively low price of $444 or Rs 20000. Huawei was a total surprise package in the Mobile World Congress 2012. With a quad-core 1.5 GHz K3V2 Huawei chipset, it was something that no one had expected. 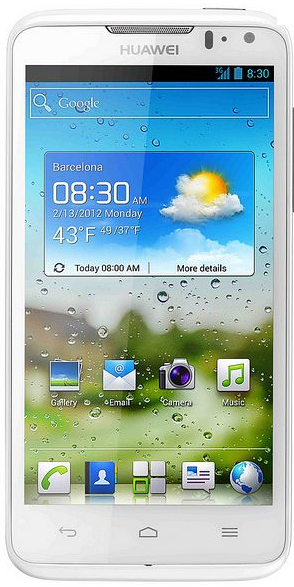 Bundled with Android v 4.0 Ice Cream Sandwich, the Huawei is something everyone is looking forward to in the year 2012. Also with 4G LTE to provide you the fastest browsing speed, the phone is a steal at $ 620 (expected price of Huawei ascend d quad xl). It also promises one of the most enriching sound experiences you'll ever have in a Smartphone with the built in Dolby Mobile 3.0 Plus and provide you the experience of Dolby 5.1 Dolby digital sound. It comes with 1 GB RAM for your computing needs as well as 8GB ROM. It supports external memory card upto 32 GB. The phone has a slightly smaller (in comparison to other phones) 4.5" screen and comes with an 8 MP camera and a great battery backup of 2500mAh. The expected price of the Huawei Ascend D Quad XL is $620. The HTC One X is another great contender in the quad-core Smartphone series. One of the most highly anticipated Smartphone by HTC fans and others alike, the HTC One X packs enough power to propel all your smartphone application needs. The HTC One X comes with a fast quad-core 1.5 GHz processor with the Nvidia Tegra 3 chipset and ULP GeForce Graphics processor. 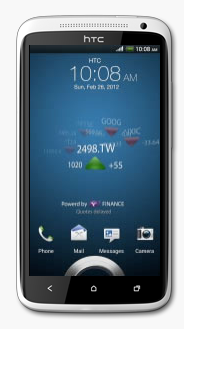 HTC has one of the best user interfaces among Smartphones and is still one of the main reasons for a large fan following. It packs 1GB RAM and internal memory of 32 GB (out of which 26 GB is available) but lacks an external memory card slot. It has a large 4.7" screen with a high resolution of 1280 x 720 pixels. It comes with an 8 MP camera and has a comparatively low 1800 mAh battery. The HTC One X is expected to be priced at $ 666. Based on these comparisons there no doubt that the less heard Huawei has the upperhand on the Quad-core segment (atleast now) with better features and a reasonable price and battery life. The two other phones also are good with LG having the lowest price with good features like HD and the HTC with its renowned HTC Sense UI. It will be hence interesting to see how these Smartphones fare against each other when they will be finally released in the market. Fujitsu F-074 waterproof smartphone specifications, features and price in India are given here. Fujitsu Limited, a Japanese multinational company headquartered in Tokyo, Japan has unveiled a branded new android phone at an event held at Banglore. Dubbed as Fujitsu F-074, the smartphone would come along tagged as a waterproof and scratch resistant device. Teamed up with telecom operator Tata DoCoMo, Fujitsu aims high over the performance of its device in the Indian market. Are you panicking about the accidental liquid spills and splashes on your mobile devices? Are you worried that the vital components inside the device may get destructed due to the liquid spills? End all your worries right here for there is already a blessed solution Liquipel, a new technology that protects your devices from liquid spills or corrosion.